Most of the website and app provides you free to use software, contents and services information by the ads. These pop ups ads not only disturb you but also consume web browsing speed of your Android phone. Today we’ll discuss how to block ads on Android phone and get back actual browsing speed. Pop ups ads are using for online advertising on the world wide level. With the help of these pop ups ads most of the web traffic attract on the ads provider company. Most of the companies advertise adult websites and illegal software during these pop ups advertising. Advertiser normally use this strategy to attract computer, laptop or Android users to watch his advertising. When you click on these ads advertiser get the income of each click. These pop ups ads not only disturb you lot of time but also reduce your Internet browsing speed. Most of the user are frustrated with these ads and want to know how to block ads on Android phone. There is no boundation to watch these pop ups ads. Now, after reading this guide you can easily blocks ads on Android phone, desktop PC, laptop and tablets also. If you don’t want to see the ads on your device you must have to enable pop up blocker on your browser. If you are working on the opera browser and want to block ads on Android phone, computer or tablet then you have to take few given simple steps. Step 1: Open opera browser on your Android device. Step 2: Tap on the three dots which is placed on the top right corner. Step 3: Tap on the “Settings” option. Tap on the “Advanced” option in the “Settings” window. Step 4: Turn on “Block pop-ups“. After turn on this feature on your opera browser you can’t see any pop ups adv on your Android device. If you are working on the Google Chrome browser and want to block these unwanted ads on your Android device then you have to take few given simple steps. Step 1: Open Google Chrome web browser on your Android device. Step 3: Tap on the “Settings” option. Tap on the “Site settings” option in the “Settings” window. Step 4: Tap on the “Pop-ups“, Now, turn off “Pop-ups Blocked (recommended)“. After turn on this feature on your opera browser you can’t see any pop ups adv on your Android device. By default this option is already turn off, if you turn on this option all pop-ups ads are shown on your Android device. Note: If you already block all the pop-ups ads on your Google Chrome browser but still not received proper Internet speed, then you have to turn on data saver option. Data saver compress aspects the web pages. Next time when you open previous open web pages they are not taking longer time for opening. If you want to open data saver on chrome browser then you must have to take these given steps. Step 3: Tap on the “Settings” option. Tap on the “Data Saver” option in the “Settings” window. By default this option is turn off. After turn on this option chrome will use Google servers to compress the pages which you visit before downloading them. 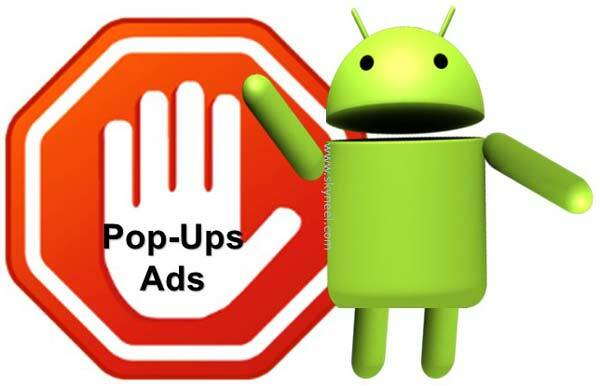 I hope after reading this article you can easily block pop-ups ads on Android devices. After that you can get better browsing speed on your browser. If you have any query about this article please write us in the comment box. Thanks to all.